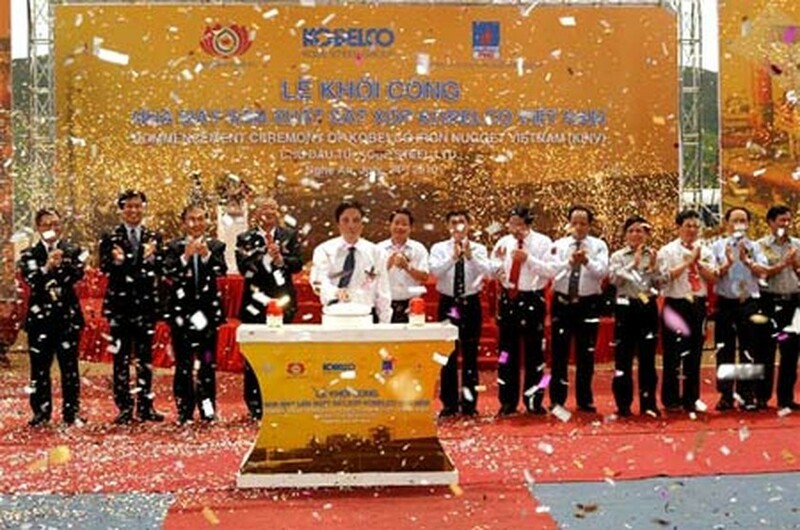 The Kobelco Iron Nugget Vietnam Limited Company (KINV), a subsidiary of Japan’s giant Kobe steel group, started July 24 to construct the first sponge iron plant in Vietnam at a cost of US$1 billion. The plant will cover an area of more than 60,000 square meters in the Hoang Mai Industrial Zone, Quynh Luu District, the central province of Nghe An. The plant will apply environmental-friendly ITmk3 technology, which does not discharge fumes. Construction of the plant is divided into two phases, with two plants built in each phase. The first plant is set to be put into operation in 2013 with an annual capacity of one million tons, half for domestic consumption and the rest for export to Japan. KINV’s plant will mainly exploit iron ore from Thach Khe iron mine in Ha Tinh province and coal from Quang Ninh province. Once in operation, the plant is expected to create employment for 200 skilled workers. 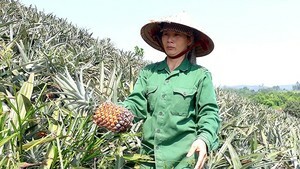 In recent years, farmers in several places in Lao Cai, Yen Bai, Son La, Dien Bien and Ha Giang provinces flocked to grow pineapples to export to China; however, they have had to dump pineapples because the price of pineapples dropped to VND3,000 per kilogram.